Detective Sergeant Barbara Havers and Detective Inspector Thomas Lynley are forced to confront the past as they try to solve a crime that threatens to tear apart the very fabric of a quiet, historic medieval town in England. I’m a big fan of Elizabeth George and her Thomas Lynley series. If you like British detective “who-done-it” type mysteries, this may be right up your alley as well. The Punishment She Deserves is her latest book, and while yes, it is a series and yes, there are a bunch of Thomas Lynley books, you don’t have to read them in order. I started with a book in the middle of series, then went back and read the rest. So, before I get to this book, a few words on British murder mysteries: they tend to have lot of drama and back story (soap opera-ish) and don’t generally move very quickly. I like them as a change of pace, but they can be tiring if they aren’t your cup of tea. 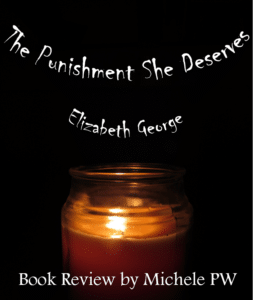 The Punishment She Deserves is a complicated mystery involving an entire town. A local deacon, Ian Druitt, is accused of child molestation and, while in custody, is found dead. Did he kill himself? Or was he murdered? There are enough questions around the circumstances of his death that Scotland Yard is called in to investigate. However, the investigation ends up revealing a much bigger scandal that impacts the entire town. This was vintage George—she balances about a million subplots and back stories, and eventually brings them all together in the final third of the book. For the most part, I enjoyed the various characters, although I wasn’t as fond of the college students subplot. This one seemed to take longer to gel than some of her other books, so be patient—it will all make sense. Overall, I would give it four stars and a solid thumbs up. 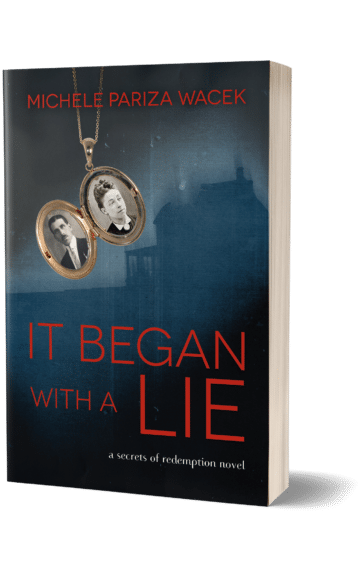 If you’re looking for a new mystery series, Elizabeth George is a great one to check out.